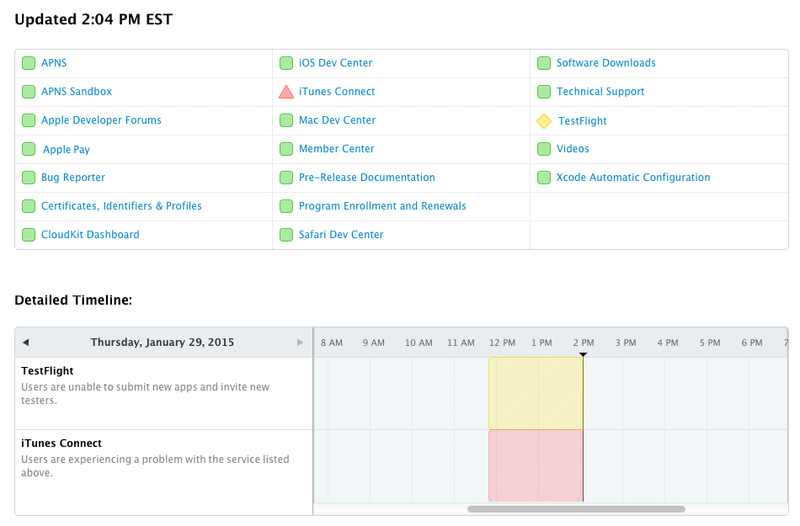 Update 3:13pm ET: The Apple developer dashboard now says iTunes Connect and Test Flight are working normally again. iTunes Connect is back and still no analytics. It was all for naught. Reports from Twitter and 9to5Mac on Thursday indicate that something has gone wrong with Apple’s iTunes Connect service, which is the main interface for developers to upload and distribute iOS apps. Furious developers are complaining on social media that when they log in with their own credentials, they’re being logged into other people’s accounts — including those for big companies like BlackBerry and H&R Block. Many people’s iTunes Connect accounts contain unreleased upcoming versions of apps, making developers nervous that their own in-development apps could get leaked. Anyone seen their iTunes Connect just start randomly cycling through other people's logins???? Apple has apparently taken iTunes Connect offline but its own developer dashboard was indicating that nothing is wrong as late as 12:40pm ET. Apple’s developer dashboard is now indicating an issue with iTunes Connect. Earlier this week, Apple announced it was shutting down a legacy version of Test Flight, software that makes it easier to distribute beta versions of iOS apps, and had rolled the service into iTunes Connect. 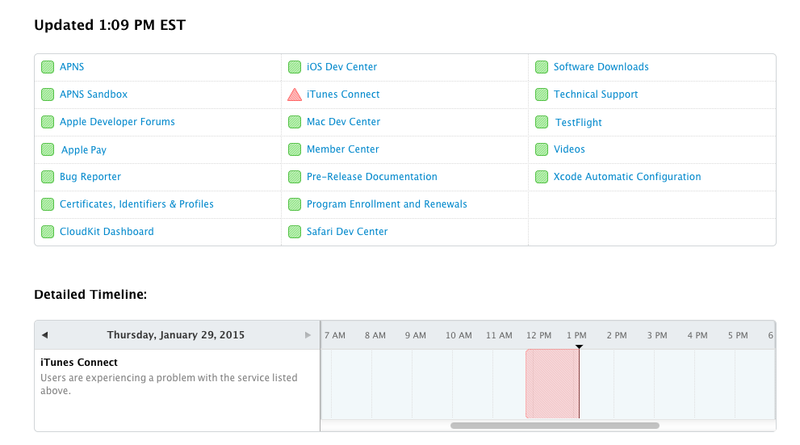 As of 2pm ET, Test Flight is also listed as having issues on Apple’s developer dashboard as well. I’ve asked Apple for more information on this bug and will update if it gets back to me. This post has been updated several times as more information became available.